The few real certainties we have available surround the uninterrupted march of Moore’s Law - the notion that the number of transistors in the top-of-the-line processors doubles approximately every two years - and the unpredictability of human nature. Experience tells us that where new opportunities for fraud and financial crime exist, the ‘Dark market’ will expand to meet them. Asked why he robbed banks, the gangster John Dillinger replied: ‘Because that’s where the money is.’ Today is no different, other than a growing appetite for stealing data, offering potentially higher and safer returns to criminals than robbing banks. It is clear that in the aggregate, our personal information – even relatively innocuous details such as our browser search history is worth a vast amount of money. Over the last twelve months, we have seen an alarming and growing trend, one which we have no reason to believe will not continue to expand. Sophisticated criminal gangs, perhaps even nation states, have been exfiltrating and harvesting ever larger volumes of data from businesses and government departments across the planet; in October 2016 hackers stole the personal data of 57 million customers and drivers from Uber and by far the biggest breach to date is India’s one billion public database of personal details in early 2018. The question which vexes observers in the information security space; other than constantly trying to protect their assets, is why large and seemingly innocuous databases are hacked and stolen as regularly as attempts to compromise the most financially and personally sensitive? 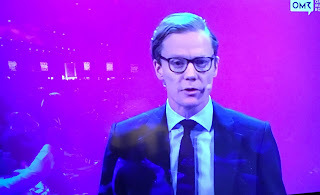 In March 2017, I remarked in The Guardian: “A rapid convergence in the data mining, algorithmic and granular analytics capabilities of companies like Cambridge Analytica and Facebook is creating powerful, unregulated and opaque ‘intelligence platforms”. However, these two influential and powerful companies are simply those whose interests and activities most visibly coincide in repurposing consumer data, aggregating and analysing it for profit. There are many more unknown operations of a similar nature likely operating in the shadows; sharing, analysing and exploiting the huge volumes of data being stolen on a regular basis and for a whole spectrum of different and often criminal purposes. This is ‘Big Data’ raised to a further level of deep sophistication, with a new generation of powerful analytics services rented on the Amazon cloud and most commonly associated with the more advanced computing capabilities of western intelligence agencies. There are three convergent trends, which projected-out to the near future, we should be wary of. These are Machine Learning and Artificial Intelligence in conjunction with rapid advances in Quantum Computing and new and cost-efficient cloud-hosted Big Data aggregation and advanced predictive analytics services. By 2020 there will be some 50 billion devices connected to the internet as the Internet of Things continues to expand at a near exponential rate. Every minor detail of our lives will silently deliver a stream of tracking and personal telemetry and data points which in isolation are worth nothing but in volume offer valuable insights when aggregated and analysed at scale. As an example, Google (Alphabet) alone is using 46 billion data points in one project to predict the medical outcomes of hospital patients. It is estimated that by 2020, we will have generated over 44 Zb (1 zettabyte = 1 trillion Gb) of data, and that amount will continue to grow at a rate of 1.7 Mb per person per second. The scandal surrounding Cambridge Analytica and Facebook has arrived as a sharp wake-up call over the growing value of personal data. It’s entirely possible, that in anticipation of a breakthrough advances in the availability of cloud-hosted, quantum computing and analytics for rent, perhaps within the next five years, that well-funded, well organised and forward-looking criminals are simply storing the terabytes of encrypted information they have stolen, awaiting the day that fast, cryptography-breaking quantum computing-based algorithms are developed. While it’s equally possible that much of that stolen information might be out of date by the time this new technology arrives, viewed at scale, it will still represent a treasure trove of enormous value to whoever might wish to exploit it to use in finely-crafted identity theft schemes, among other possibilities. 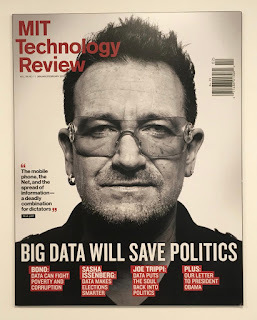 ‘Data is the new oil’ wrote The Economist magazine in 2017. While this analogy might exaggerate its value, for organised crime, with a growing arsenal of cheap and powerful data mining and hacking tools at its disposal, data is most certainly where the money is and if you haven’t lost data to a passing hacker already, then you are likely overdue for a visit anytime in the near future.